CytoCure LLC is an early-stage biopharmaceutical company founded on a novel platform technology to develop anti-cancer drugs that will make therapeutic cancer vaccines more effective. When combined with cancer immunotherapy, CytoCure's drugs will enhance patients' ability to recognize and destroy their own malignant tumors. CytoCure scientists have discovered a process by which tumor cells lose expression of genes encoding immune targets. 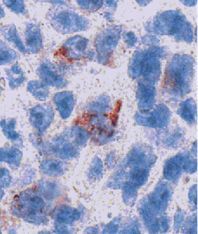 This process of "antigen silencing" is a common finding among tumors. CytoCure scientists have shown that the loss of these antigens is often due to reversible gene regulation. Proprietary CytoCure technology is based on overcoming tumor-produced factors that induce loss of tumor antigens, thus assuring that the tumor cells continue to express the antigenic structures that will allow the immune response to destroy all tumor cells in the tumor mass. Since the loss of tumor associated antigens currently represents a significant limitation to the success of cancer vaccines, the re-introduction and/or up-regulation of antigen expression will be a necessary adjunct to these therapies. Although the anti-tumor immune response can be markedly enhanced by strategic vaccination, the ability to destroy the tumor is dependent on the continued expression of the target antigen. CytoCure's technology provides for a platform to assure the continued expression and regulation of "antigen silencing" to enhance immunotherapeutic treatment of cancer. The cancer therapies envisioned by CytoCure's first-line of therapeutics will require combining two components: (1) The antigen augmentation drug (i.e. a drug that increases antigen expression) which CytoCure has developed and identified; and (2) An Immunotherapeutic Intervention, such as adoptive immunotherapy. To date, CytoCure has identified biologically available small molecule leads and the cytokine, interferon-beta, that is already approved for the treatment of Multiple Sclerosis, and has produced tumor-specific cells that can be used in immunotherapy.